So unfortunately all of these “refreshments” over the weekend made us a little tardy to the party on our posts… but we will make up for it in the weeks to come, obviously. I was at a fabulous bachelorette party in Nassau all weekend, so made an appropriately tropical drink: a very simple rum punch. Extremely cool and refreshing in the scorching heat. 4 oz orange juice — I used fresh-squeezed, made a huge difference! 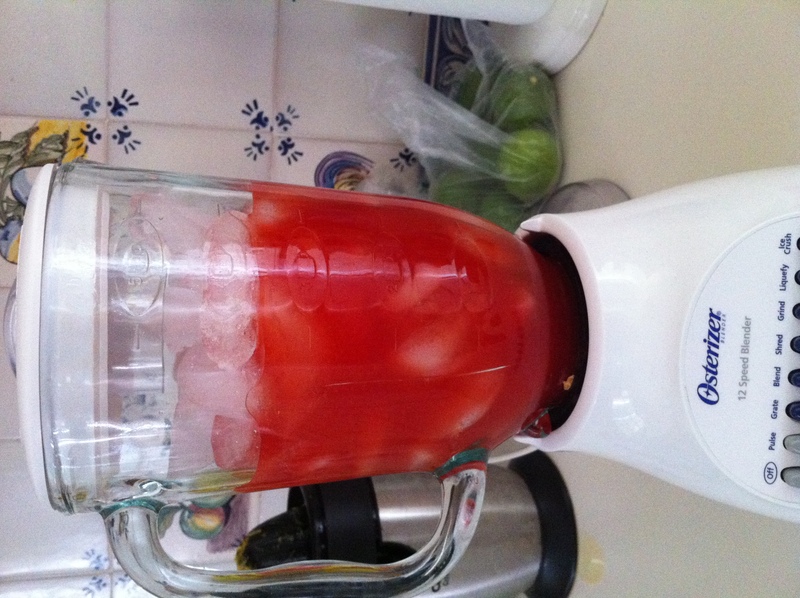 Combine all ingredients in a blender, then fill almost all the way with ice. 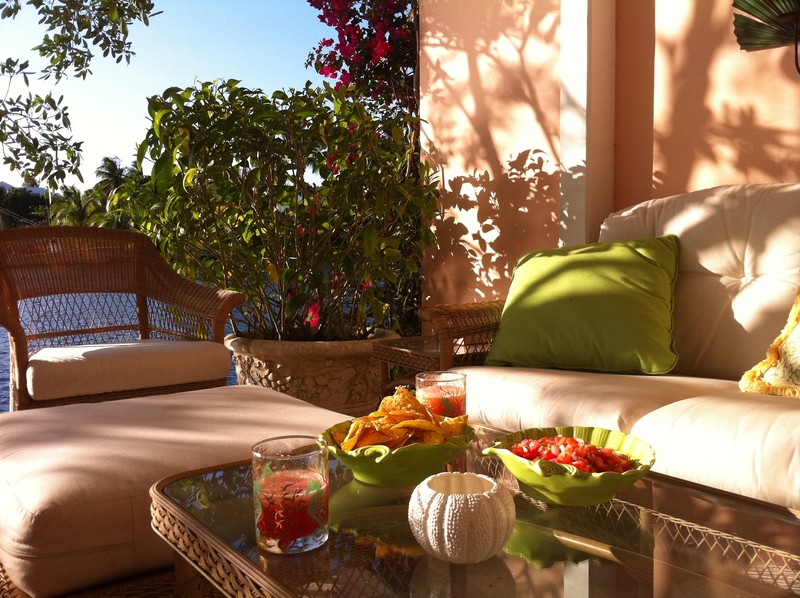 I also made a very quick and easy salsa fresca to accompany it – perfect for summer entertaining! 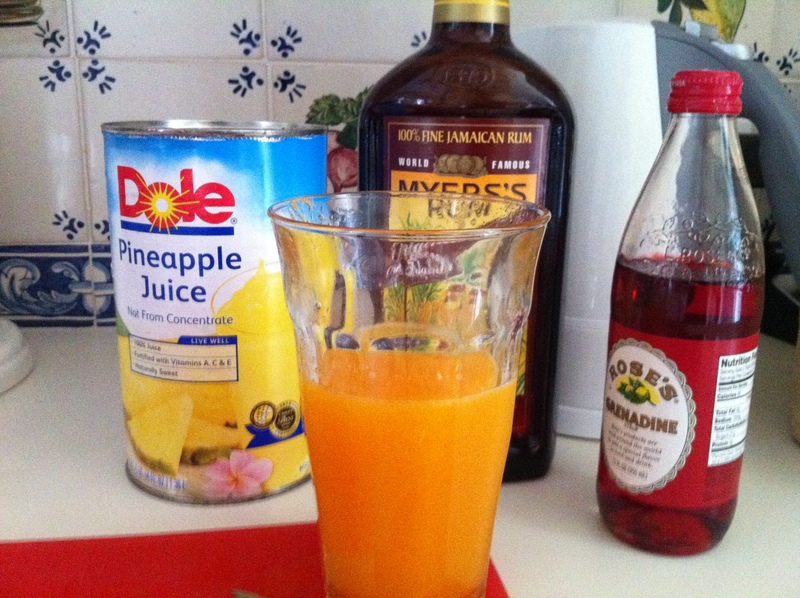 This entry was posted in Cocktails and Mocktails and tagged Bahamas, cocktail, drink, fresh-squeezed orange juice, grenadine, ice, Nassau, orange juice, pineapple juice, rum, salsa. Bookmark the permalink.